The Balvenie is owned by William Grant & Sons, which also built Glenfiddich. While its sibling distillery wins the popularity contest, The Balvenie is not to be overlooked. This whisky is exceptional for its honey-heather flavors and aromas, which arise from the heather growing in the hills above the distillery’s location in the Speyside region, over which the water that ends up in The Balvenie flows. The “Single Barrel” designation is interesting. It means that the individual characteristics which arise in a given barrel are present only in the 350 or so bottles which are filled from that cask. This means that The Balvenie you drink now could be vastly different from the bottle you buy next year, or even from the bottle you purchase across the street on the same day! The cask number, cask fill date, bottling date, and bottle number are printed on the label. This explains the vastly different tasting notes you might find from tasters of this Scotch. Rest assured whichever barrel you are drinking from, it will retain The Balvenie’s signature heather-and-honey flavors, and will likely yield up several fruits and flowers for you to identify. A single tasting event could be run simply from bottles of The Balvenie from different bottling runs! Nose: Honey and peach, buttery baked goods, angel food cake, white port wine, honeysuckle and freshly-cut flowers. Butterscotch. Palate: Rich with honey and marzipan, low-burn. Clear and unmuddied heather at the beginning, middle, and end. Like liquid candy, but not cloyingly so. Delicate and floral on the attack, growing more nutty and with darker cooked-fruit flavors… like peach pie. Finish is short, but with a lingering ghost of lilac and yet more honey. This dram makes me want to be a bee in the next life. Adding a dash of water to the glass causes it to open up like a flower. Literally, perfumey notes of wildflowers, clover, lilac, rosemary blossom, and peach blossom rush out of the glass. With water, the floral notes persist into the taste, overshadowing some of the sweeter baked-good flavors. This is a Scotch that should be tasted both with, and without water, as its character changes dramatically. When you’re in the mood to linger over a Scotch and appreciate the wide array of possible flavors as they evolve continually in the glass and in your mouth, reach for The Balvenie 15 Single Barrel. This one is a marvel, and because of the Single-Barrel style, you can come back year after year to discover ever different tastes and scents. They are somewhat different beasts. Despite starting out as the same malt (the 15, of course, being around 3 years older), the DoubleWood contains whiskies vatted from two different types of barrels. Whereas the 15-year is exclusively from an ex-bourbon barrel, the DoubleWood contains some portion of whisky aged in ex-sherry casks. The 15-year, as well, comes from a single barrel and thus does not have barrel variances ‘smoothed out’ via vatting with multiple other barrels. What you end up with is a very straightforward, reliable 12-year in the DoubleWood, with added dimensions of fruit and sweetness from the sherry. In the 15-year, you have a slightly elder (and somewhat smoother) malt that showcases the qualities of that single (carefully chosen) barrel. It’s also, of course, more expensive. I keep a bottle of DoubleWood around at all times, as it’s the malt I’m most likely to offer to a visitor who doesn’t have much experience with whisky. The 15-year I haven’t had in awhile, although I certainly will come around to it again. I think of it more as a “special occasion” type of whisky, while the DoubleWood is very much a casual/everyday kind of dram. I love this stuff! Very much the opposite of what I usually drink (peated scotches such as Ardmore, Ardbeg, Lagavulin, and Caol Ila). Almost like a “dessert” scotch, but has enough “meatiness” to not go over too much on the sweet side. Can find it for less than $60 here in Illinois. This is definitely up there on the list of my favorite whiskeys… Well, sometimes… I find the balvenie 15 too unpredictable. with some barrels amazing, and others drastically less so. Definitely makes it hard for me to shell out $55 for it. @Joe, Agreed. I wish they released samples/miniatures for each batch to allow people to determine whether the investment is worthwhile. Of course, I say that about every whisky on the market! Would you recommend that I get a few bottles from the same cask or like one bottle from different casks? Just curious. Usually only one or two casks are available at a time, since Balvenie releases them sequentially. Of course, you could collect bottles from different casks as they came out, if that appealed to you. I always suggest that whisky lovers branch out as much as possible, and try different things rather than sticking to one favorite. I personally have a new favorite every few months as I continue to taste new things, and I’ve only purchased repeat bottles of a handful of whiskies (usually things that I just like to keep on hand, like Lagavulin 16, Talisker 10, Great King Street, etc). Would you recommend Balvenie 12yr or 15yr for someone who likes the flavor of Chivas regal 21yr? Its a gift for my husband. Yes, they are similar in flavor profiles, although Chivas 21 is around $130 or more, so it might be a “downgrade” to go to a Balvenie that only costs $40 – $60. You might consider Oban 18, which is excellent and around $99, or Balvenie 17 DoubleWood, which is around the same price as the Chivas 21. Macallan 18 or Dalmore Cigar Malt Reserve are also options in the price range, but they are sweeter (fruitier) than the Chivas. Hope that helps! I tend to disagree that price dictates better characteristics of the whisky when comparing as everyone’s palate differs. Depending on what you feel like on a particular day that you might find a better value scotch better than top shelf scoth, eg there are differing times where I imbibe on either a Bushmills Single 10, Glenfiddich 18 and 21, Balvenie 15 which I tend to favour better than Johnnie Walker Blue or Chivas any day. I know this is late, but for anyone else reading, I would recommend Aberlour. If I remember correctly, the Chivas Regal 21yr Royal Salute is quite sweet and spicy. I think Aberlour 16yr or Aberlour 18yr would be similar. I’m definitely coiurus to try it since I too am a fan of the 12 year old DoubleWood (I’m not that hung up on price when we’re talking about something special. We’re grown ups. No one is forcing us to buy expensive whisky). Rumor has it that there’s a sample coming my way. And I’m pretty sure one of us has a standard issue DoubleWood around, so perhaps a side by side is warranted. I have a 14 year old Balvenie rum cask finish (seems like it’s pretty common, although not as ubiquitous as the DoubleWood, and it’s much more affordable than other rum cask finished whiskies). Since I only tried the DoubleWood once, it wouldn’t be a great frame of reference for me. Have you had the 14 year old rum cask, and if so, how does the 15 year old compare to that? I wasn’t a big fan, but I know a lot of people find it the perfect balance of sweetness (from the rum), age, and subtlety. This is my favorite scotch whiskey, period. I had my first dram of the single barrel early in my scotch tasting career (which is pretty short) and I fear it has ruined my palette because it’s so damn good. I’m not a strictly Speyside guy either, love me a Laphroaig 10 and had a dram last night, but I’m drinking the single barrel while I type this (which often motivates me to poke around the internet and read my favorite scotch blogs). I feel like your notes are pretty spot on, cheers. I am a big fan of the Balvenie 15 but a word of warning: prices are definitely on the rise, at least here in Florida. I. A month I have seen bottles jump from $68, $73, $90 and now $100! 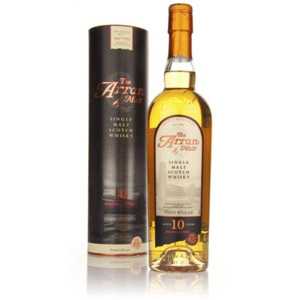 While it is a fine whisky even at around $70, there are better choices at the $100 range. I am a big fan of the Balvenie 15 but a word of warning: prices are definitely on the rise, at least here in Florida. In a month I have seen bottles jump from $68, $73, $90 and now $100! While it is a fine whisky even at around $70, there are better choices at the $100 range. David – I just got lucky, and picked up 3 bottles of the 15 yr Single Barrel for $60 each…Most places I’ve seen have it for $80 to $90. 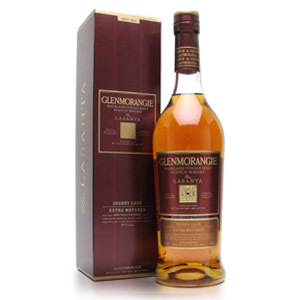 What would be a good single malt for someone to try who usually drinks blended? Looking for a gift for my son-in-law for Christmas. I would recommend something like The Balvenie DoubleWood 12 year. 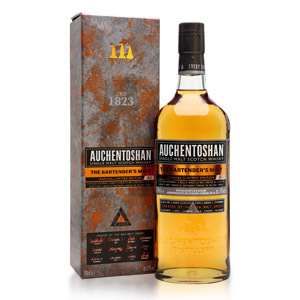 It’s a great introduction to single-malts, and it’s not peated (smoky) which can be an acquired taste. 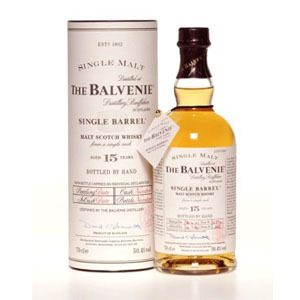 If you want something pricier, I’d suggest either Oban 14 year, Glenmorangie Nectar d’Or 12 year (if he likes sweet things), or this one – the Balvenie 15 year Single Barrel. Try Highland Park 12. It’s my favorite. It has that wonderful smokey finish. It’s smooth. Your Son-in-Law will love it (and you). This bottling is apparently no longer being produced. There is still a 15 yo single barrel Balvenie, but it is now called “Sherry Cask”, which seems to have very mixed reviews. I regret not trying the old one.